You can add special description to any field within a form – tooltip. This description can be used as a hint for users where required field format is described, for example. Go to Virto Form Extender Settings of a required list and add new settings. 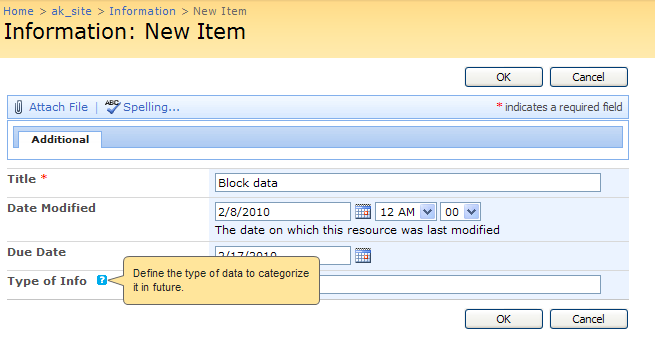 Enter the text which will be displayed as a field description in the “Field tooltip” block. Click “Save” to save the settings. Now users will see the description of this field when they view or edit list or add a new item to it. And the link in a field tooltip will look as My Company.